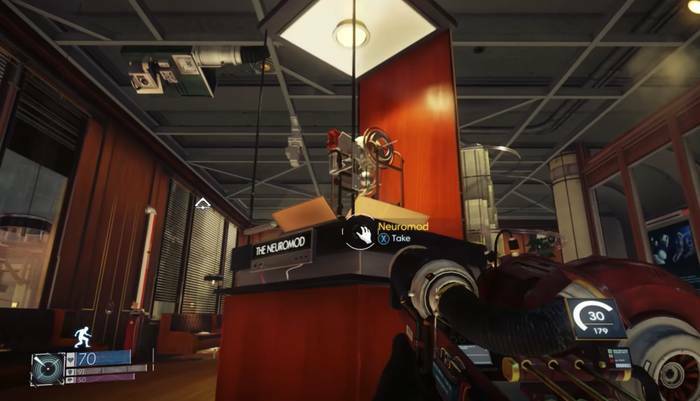 This page contains a full walkthrough of An Office with a View for Prey, including objectives, items and enemies encountered in the game. This is a Prey article. 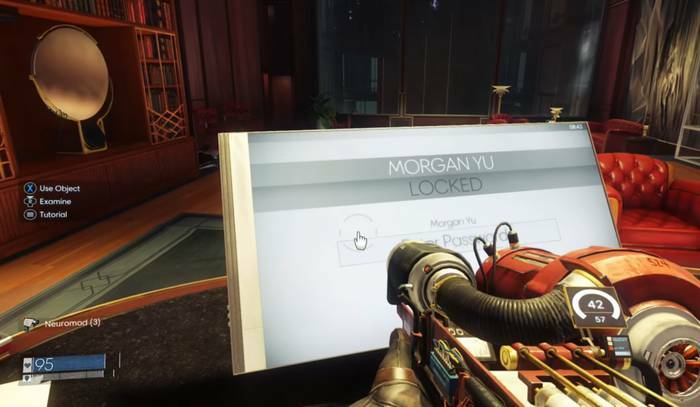 This page contains a full walkthrough of An Office with a View for Prey, including objectives, items and enemies encountered in the game. Once you head down to the lower floor of the Talos I Lobby, head to the TranStar Exhibit. 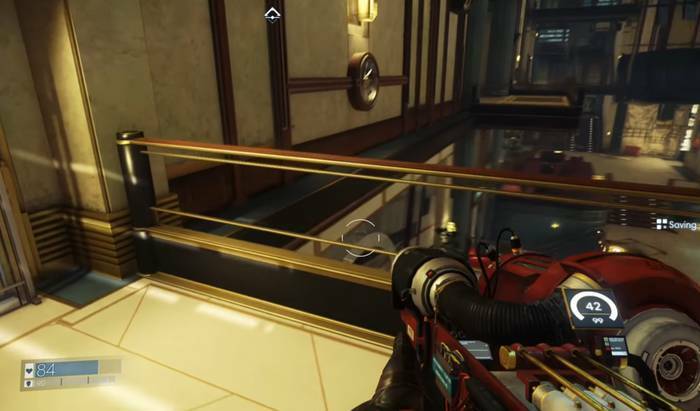 Note that there will be a Phantom lurking here, so crouch and sneak towards the Neuromod in the glass case ahead. While still undetected, shoot the Phantom with the GLOO Cannon to freeze it. It takes around 4 to 6 shots to stop the Phantom in its tracks. Attack it with the wrench when it is immobilized. You can also use the Shotgun to easily take it down, though you might want to save the ammo for later. Afterwards, leave the exhibit and proceed to the Employee Orientation room (just across the exhibit on the left). Be prepared to engage some mimics inside. Then, head to the next room and kill the mimics there. 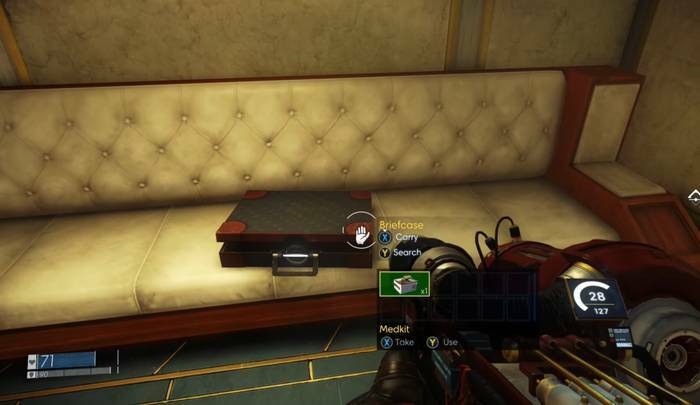 Loot the briefcase for a medkit. From the couch with the briefcase, turn right and go towards the next area with the sets of stair. Then, turn left and head for the restrooms. Go inside the men’s room and take the medkit on the table. Look up to find two mimics waiting to ambush you. Freeze them with the GLOO Cannon, then kill them as they drop to the floor. Leave the restroom and head up the first set of stairs. From there, jump over the railing and walk on the ledge to the next platform ahead. When you reach the next platform, kill the mimic there. Then, jump over the next railing ahead and walk on the ledge again towards the next platform. Loot Laura McAvoy by the door of the Trauma Center to get a petri dish sample. Continue up the stairs towards the objective marker and you will the door to your office. You’ll need a password to go inside. Read the sticky note on Jason Chang’s computer near the door which contains the password to Jason’s computer (0MG!hotboss). Then, access his email and read the message that you sent him to get the password to the door (which is 0451). When you get inside, January will call you. Check your computer (remember to take the Neuromod beside on the left). When you access your computer, check your Utilities to view the video. Afterwards, watch the video that will be played behind you. I am really enjoying the theme/design of your website. Do you ever run into any web browser compatibility problems? A small number of my blog visitors have complained about my website not working correctly in Explorer but looks great in Opera. Do you have any tips to help fix this problem? I do consider all of the concepts you’ve offered in your post. They’re very convincing and can certainly work. Still, the posts are very short for novices. May just you please lengthen them a bit from next time? Thanks for the post.